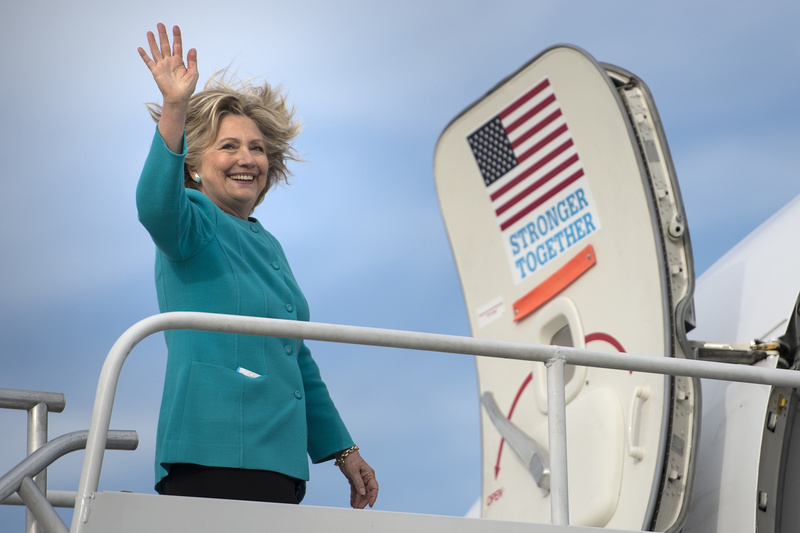 According to Buzzfeed News, the Clinton camp found out about the news on a flight from Philadelphia to Cleveland during Clinton's last minute tour of the country before the election. "We have seen Director Comey's latest letter to the Hill," said Jennifer Palmieri, the director of communications for the Clinton campaign. "We're glad to see that he has found, as we were confident that he wold, that he was confirmed the conclusions he reached in July, and we're glad the matter is resolved." Comey had previously cleared Clinton of any wrongdoing on July 5, when he announced that she was "extremely careless" in her handling of data over a private email server during her tenure as secretary of state, but that her action did not necessitate criminal charges. Comey, to much criticism from the left and applause from the right, announced on Oct. 28 that the FBI was looking into 65,000 new emails that had recently been uncovered in connection to the previous investigation of Clinton's private email server. The "unrelated criminal investigation" was confirmed to be former congressman Anthony Weiner's sexting scandal. Weiner, married but now estranged from top Clinton aide Huma Abedin, allegedly sent sexually explicit images to a 15-year-old girl in the latest of his various sexual scandals. This announcement from Comey is great news for the Clinton camp, which has suffered in the polls for the past week since the announcement. With the election coming up in two days, it may be just enough time to pad Clinton's lead, which she is still just barely maintaining over her opponent Donald Trump. Clinton had called Comey's announcement "unprecedented" and "deeply troubling" for its proximity to the election and lack of contextual information, but now that she is cleared, that trouble may finally be in the past.